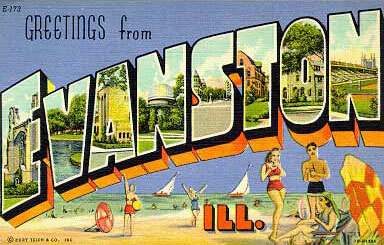 The Buffalo News is here to make your day – Greetings from Evanston, Ill. Thank you to Lindsay for bringing the “My View” column to my attention. My view for the moment is that My View is one of the best things going in modern column-writing and I don’t know why it doesn’t go viral on a regular basis. To understand the happiness that is My View, you must read. It is time to face reality. If your number is up, most of your nice clothes with be put in a box, or given away, or thrown in the trash by someone you love. This is more of a factor for those of us who have cracked fifty years of age. Your nicer clothing items could literally outlive you. Even for younger people, though, doing too much of this “saving” is a waste of time. You could get a job at the zoo, and the elephant could decide one day to sit on you. You could be driving your racecar around the bend, and go off the track. An airplane could land on your house. Flying was different in 1939. When I was nine years old, I could not believe it when Mom and Dad picked up our (landline) telephone, called American Airlines for reservations to fly to the World’s Fair in New York City. We were going to see the Trylon and Perisphere. I slapped my forehead and tried falling over backward like in the comics. Who, I think, is this imposter? This Other? This redhead from New Jersey who has wormed her way into my life? Or, more to the point, into my granddaughters’ lives? This woman who believes herself entitled to fawn over my darlings. 1975 brought me back to the reservation to live with my aunt and uncle. My aunt’s name was Clara but my uncle lovingly called her Chub. His name was Norman but I heard family call him Nero. My uncle Myron was called Monk. My Grandpa spoke about the good old days with his friends Skimbo, Guggins, June Bug and Minoj. When I started dating my husband, Tom, my grandpa called him Little Minoj because of his grandfather. My family also had Jut, Leen, Cow, Deetle, Punkin, Eshka and Peaches. But don’t fret, headwear is back! This time not in the form of dress hats, but in the classic baseball cap. These are the hats of today. You can wear them forward, backward and even sideways. Isn’t it interesting to see well-dressed men walking down the street with that trendy baseball cap? Love them all. Life is too short not to try writing something every once in a while. You could get a job at the zoo, and the elephant could decide one day to sit on you.